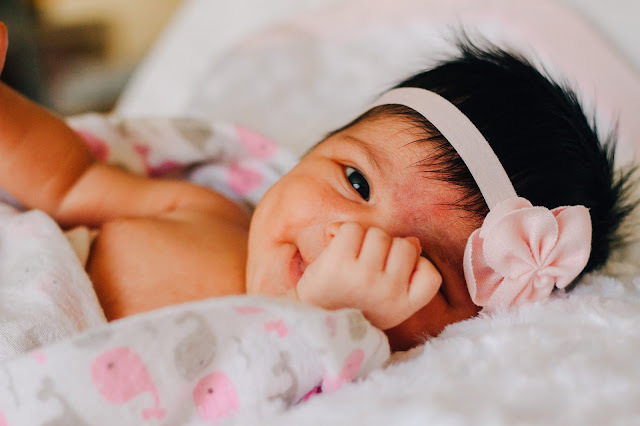 Before you fill up your baby registry or spend that sweet baby shower cash, check out this list of stuff your newborn baby doesn't even need! 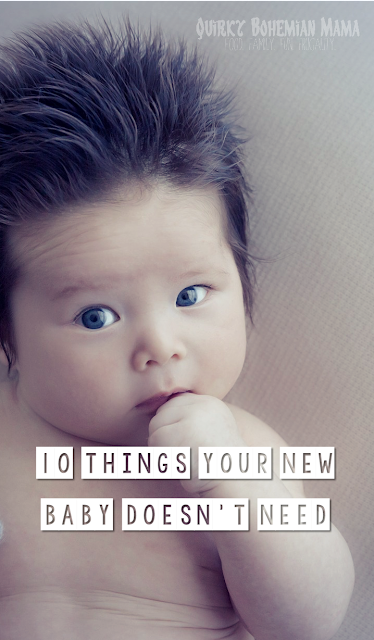 Unless your baby has super sensitive skin there's no need to splurge on fancy wipes. A package of generic brand wipes can cost less than a dollar. Yup! Go unscented for baby's delicate skin. The first diapers we got for our baby were gifted name brand diapers. We didn't need to buy diapers for months. Friggin' sweet, right? When the diapers finally ran out we knew we couldn't afford to continue with the original brand we were gifted and were a little hesitant to switch to something cheaper. We finally took a chance and discovered that the off brands were just a good and were significantly less expensive. What? Have I gone mad? Nope. What I mean is you don't need a bag that has been specifically designed to be a diaper bag. Any large purse , tote , messenger bag , overnight bag and even backpack can be a diaper bag. If you look in your closet right now, I bet you've got something that will work AND it's already in your style! Babies grow and they grow fast. Within just a few weeks, that cute little outfit you love so much will be tucked away in storage or already passed on to another little one. When you go shopping don't be afraid to buy clothes that are too big because they will fit eventually. Just wrap yucky diapers in old newspaper or put them in a plastic shopping bag, tie it up tight, and toss it! A new baby could care less about that silly cute little stuffed giraffe you bought. In fact, he might not even start showing interests in them for months. Well, he could snuggle up with Mr. Giraffe Pants in his crib right? No. Because stuffed toys are possible SIDS risks it is highly advised that you do not put stuffed animals (or pillows or blankets) the bed with baby. Yeah, don't even bother registering for one. They take up space and they're pretty darn useless since your baby lays horizontally to you instead of vertically with his feet towards you. That makes changing a diaper unnecessarily difficult. It's just as easy and far more convenient to change your baby wherever you are - the bed, the couch or the floor will work just fine. Just be sure to put a towel down first! Just simply wash baby's clothes separately in "free and clear" laundry soap and use unscented dryer sheets or skip those all together. Sure that super awesome onesie is only $10 at Target, but you can definitely get more bang for your buck at a thrift store or consignment shop. With all baby clothes only $2 per garment at our local Goodwill, $10 can go a long way. Well, since babies can't walk there's really no need for them. Sure they look cute, but your newborn can survive without that $80 pair of Jordan's. A nice pair or warm socks should do just fine. Check out my other baby posts HERE!